Bank Chor has a few mildly amusing moments, but it could have been a genuinely funny film. The setup is there, the characters are there, Deshmukh is around and game to embrace the nuttiness. Yet the film keeps relentlessly spinning its wheels – while insisting on showing us just how much it is spinning said wheels – and finally becomes the kind of film it is trying to spoof. Even a substandard or cliched basic plotline could have been sidestepped were only the gags smart enough, or, at least, that there were enough of them. This one spends too much time not going for the laughs. It starts off being about blank chors, and ends up a bank bore. Bank Chor is a tiresomely bad film. Let me explain that – some films are so bad that they become good. These are the best kind because at least they make you laugh. Then you have the big-budget bad ones that enrage you with the sheer wastage of money and opportunity. So at least they evoke an emotion. Bank Chor is neither. It’s just witless and pointless and it leaves you utterly depleted. On the whole, Bank Chor is a poor show all the way. It is far from being funny and, therefore, will not be able to steal people’s hearts. Its run at the cinemas will be very limited. Although the film, made at a very modest budget, will be able to recover its cost due to revenues from non-theatrical sour­ces, its theatrical business will be poor. Collections on Sunday (June 18) are likely to be adversely affected due to India-Pakistan final cricket match in the ICC Champions Trophy. After a wobbly stab at humour, Bank Chor brusquely shifts gears in its second half as if it was possessed by another genre, what’s the name — damage control?The mood gets dark, the pace picks up, consciences kick in, masks drop off, threats are ping-ponged and the twists begin to fall in line.Of course, it’s all supremely contrived, and, frankly, quite absurd.Even if one overlooks at the glaring loopholes in its tonal switch and professed slyness, it’s frustrating how much Bank Chor delays its denouement because nobody cried wolf. But otherwise, it is too reminiscent of bank-heist movies of the past; there are even clear shoutouts to the Dhoom franchise. A better plan of action and a few dry runs with the script would have ensured a product to bank on. The way in which he has handled the tongue-in-cheek humor laced film BANK CHOR is extremely weak. This only goes onto prove that films of such genres definitely require an ‘experienced hand’ for the film to be worth its salt. While BANK CHOR’s first half is relatively funny, it’s the second half where the film becomes worse and gradually starts getting on your nerves. 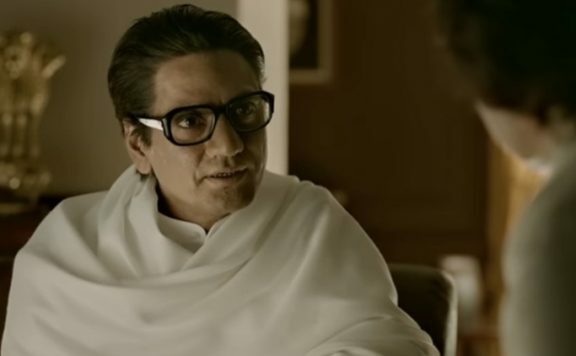 On the whole, BANK CHOR is a damp squib right from the word go. At the Box-Office, it does not have any potential to score. 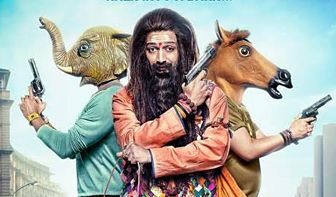 Y-Film’s latest release Bank Chor appears to be a comedy from its trailer and hence I entered the theatre with the expectation of watching a comedy. But what starts as a comedy soon turns into a nail-biting gripping thriller!I would definitely love to watch a sequel to this wedding of thriller and comedy. This is a film which you can enjoy with your family and even if you’re watching alone. Lovely performance by Riteish and Vivek. The film gets a little perky right at the end, with a twist and all, but it is much too little much too late. Oberoi, who can do so much better, is reduced to puffing his chest, and twirling his ‘tache. And I’m saddest about the waste of the talented Deshmukh, so good at dead-panning and lifting the most deadbeat of films.This one’s beyond him, alas. Cuss word. Blip, blip. To begin with, the story is lame and the characters plain stupid. Even the background characters, like the hostages in the bank, show traits of being completely insane. When in a hostage-like situation, how can people not be concerned about their own well-being and keep helping the criminal? There are, nonetheless, some smart twists in the plot but the thrill lasts for a short span and fizzles out under the lame script.